Bahrain Rugby Club started life as a section of the British Club in 1971, becoming its own separate entity in 1974. With more than 3,000 members, Bahrain has grown to become one of the largest and formidable clubs in the Gulf region. They are the West Asia Premiership Cup holders of 2017/18 Gulf Rugby season and the Western Clubs Champions League title holders of 2018/19. Bahrain Rugby Club are the only non UAE team to play in the West Asia Premiership as they compete along side teams from Dubai and Abu Dhabi from the United Arab Emirates. 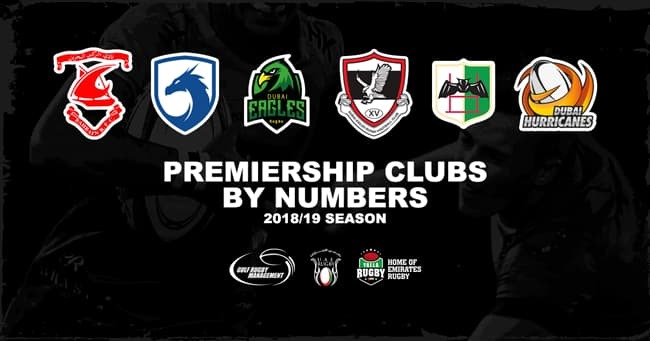 We’ve compiled all of this year's Premiership Rugby stats to show club performances throughout the 2018/19 season.